Measuring, calculating and drawing angles . 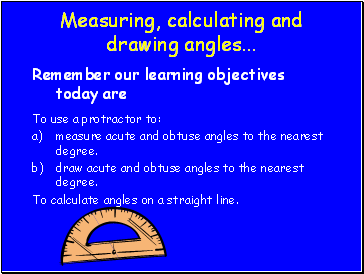 measure acute and obtuse angles to the nearest degree. 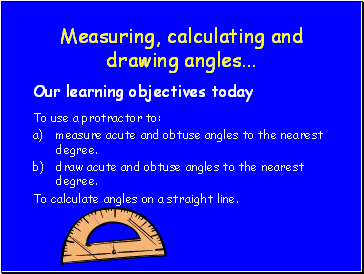 draw acute and obtuse angles to the nearest degree. To calculate angles on a straight line. What do we use to help us? 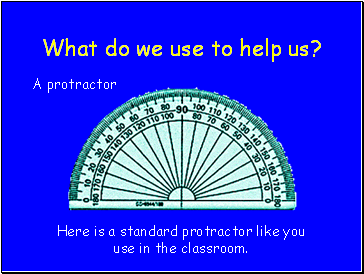 When we use a protractor, we need to line it up correctly. 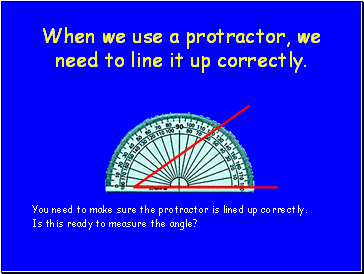 You need to make sure the protractor is lined up correctly. 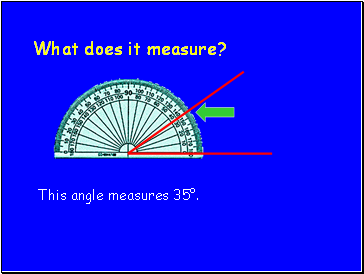 Is this ready to measure the angle? 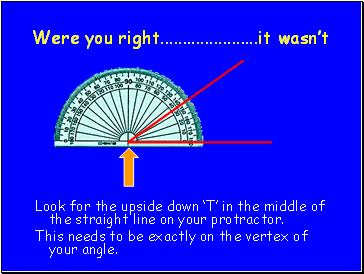 Look for the upside down ‘T’ in the middle of the straight line on your protractor. 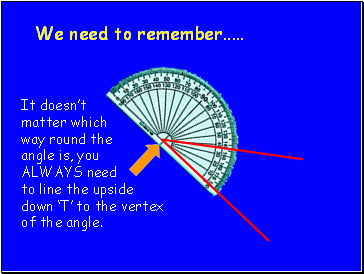 This needs to be exactly on the vertex of your angle. We need to remember . Read from the 0°, and follow the inner set of numbers. 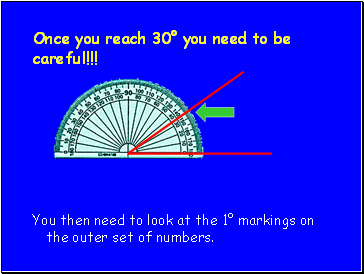 Once you reach 30° you need to be careful!!! You then need to look at the 1° markings on the outer set of numbers.